Well, I just couldn’t let this lightweight chambray fabric go to waste. So, I bring you another version of the Modkid Hailey Girls pattern. This one is the tunic length. I had to change up the skirt a tad to salvage the nice jumbo pockets. The original pattern piece is more trapezoidal to fit with the bodice. Instead, I used a rectangle and gathered the top slightly to fit the bodice. It pretty much blends in with the shirring. I added a color block back panel. I’d love to tell you it was an act of design, but really I was just running short on fabric. I think it works though. The pintucks on the bodice really steal the show in my opinion. I love how it worked to follow the line of the v-neck. This is actually the first time I’ve used my pintuck foot for actual pintucks! I have found it quite handy for creating my own piping in the past. 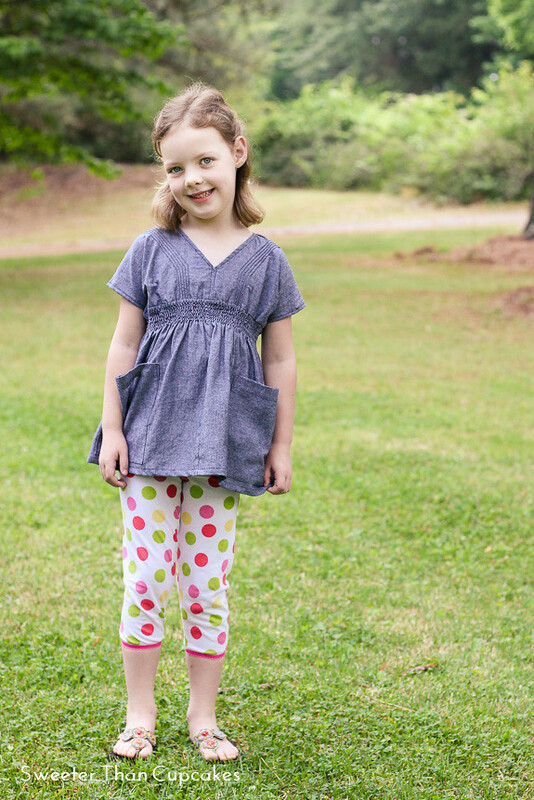 The leggings are from the book Sewing Modkid Style. 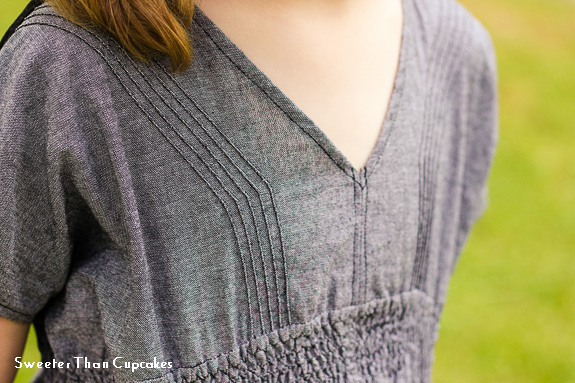 While I think the fit and elastic detail are very cute, I’m not sure they are right for this top. I’m thinking some skinny jeans or even shorts may suit the style a bit better. I see more sewing ahead!! loving the color, texture, result of this! and you are right you can't let this chambray fabric go to waste! Thanks! It was well worth saving! Love the change from 'poopy pants' to tunic. 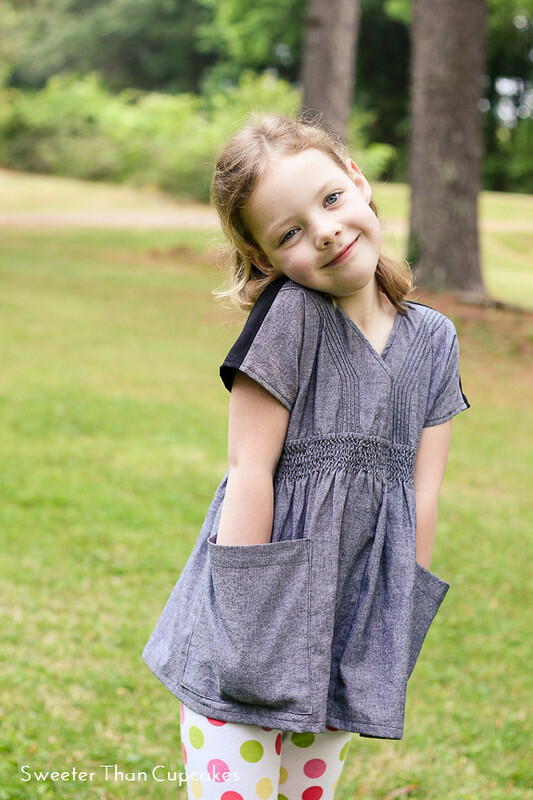 I have never been a fan of that style of pants and your daughter rocks this tunic. I love the pintucks on the bodice. So cute! Thanks! The pintucks were a fun experiment. It came out great! Excellent salvage. Most excellent save! I love the pintucks. I've never done pintucks. Is it difficult to shape them like you did?